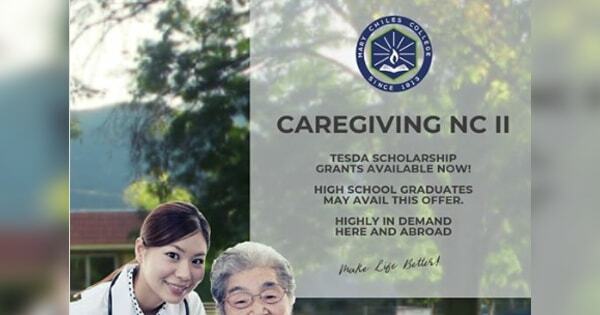 Get #BetterBuhay with a Full #Scholarship on the #TESDA Caregiving NCII (#CG) Course. NOTE: FIRST COME, FIRST SERVE. HURRY! LIMITED SLOTS ONLY!